Creative and Professional Writing is also available as an undergraduate degree with a foundation year. Why study Creative and Professional Writing? Creative writing challenges you to explore the universes of your imagination and to sharpen your practical writing skills to the highest degree. You must love words and language and be passionate about reading and writing to undertake this course of studies, but the rewards can be immense and hugely satisfying. Few people write really well, but if you learn to do it - and we can help you - you will always be a step up on the competition. In the current marketplace the transferable skills offered by this degree in terms of critical thinking and coherent, compelling expression are second to none. Our goals on the St Mary’s Creative and Professional Writing programme are threefold: to help students develop into the writers they want to be; to hone the core writing skills that will set them up for all manner of careers across the creative and other industries; and to give them a general introduction to the publishing world and literary scene in the UK and beyond. There's no snobbery in the teaching of creative writing at St Mary’s. We're open to all kinds of writers with a wide array of interests, from science fiction to screenplays and from rap to romance. We recognise that reading and writing is changing, and we try to reflect new developments, from social media to video game writing. You tell us what you want to write and we will help you to write it as well as you can. In the Creative and Professional Writing programme we want you to write. A lot. And read. A lot. We give students regular writing exercises to guide them towards their assignments, and we encourage wide reading. Most of the set texts on the course are contemporary – from the last 20 years – so that students learn how people are writing now. Much of what they read is very recent. We want our students to be up to date on what is happening in the creative writing world now. At St Mary's we are friendly and supportive and get to know our students very well. We operate an open door policy in Creative Writing where we meet students regularly to discuss books, film and life. There is a lively Professional and Creative Arts Society, and regular informal reading evenings, where students share work with each other. Our teachers are all practising, published novelists, poets and writers. There are fantasy and horror writing experts, acclaimed book critics and literary novelists, international journalists and TV scriptwriters. You will also have the opportunity to study abroad in the second year in countries including America and Australia. Creative and Professional Writing scored 98% for academic support and 96% for learning opportunities in the 2018 National Student Survey. The undergraduate degree with foundation year programme offers applicants without traditional qualifications or grades an alternative route to studying Creative and Professional Writing. The module aims to establish the foundational writing skills necessary to proceed through the Programme successfully. Emphasis will be placed on both relevance and accuracy in the use of written English. The module introduces students to the nature of written text, different stylistic requirements of different forms of writing, and aims to help develop the students' understanding of how language works to achieve particular ends. The aim of this module is to provide students in Creative and Professional Writing with a basic introduction to the reading skills that will be necessary for them to progress and succeed in the degree programme. The module will introduce students to a broad range of texts, including fiction, non-fiction and poetry, across a range of genres. The unit will examine these texts from a critical, writer's perspective, considering their particular requirements, demands and construction as written works. An important element of the module will be to introduce students to the specific form, demands and practice of academic essay writing. Through the study of contemporary fiction this module will extend the range of reading and writing skills among students. The module will ask students to produce their own work by experimenting with contemporary narrative voices. The module will ask students to read challenging works of fiction by living authors and to develop fluent discussion of contemporary narrative craft. Works of fiction produced in the last decade will be considered in historical and cultural contexts. This course will help to establish the contemporary contexts by which the practice of students will be assessed at each stage in the course. The aim of this module is to provide students on the programme with an introduction to the key issues, concerns and problems associated with thinking about and writing short stories. The module will concentrate on such fundamental components of fiction writing as: narrative structure, characterisation, point of view, genre, dialogue and rewriting/editing. Workshop sessions will be a key aspect of the unit, serving both as a means for students to develop their own work as well as their editorial skills through measured and constructive critiquing of the work of their peers. You will study the growth of the world’s first ‘mega city’ by looking at the writing produced in and about it during the ‘long’ eighteenth century. The module aims to enable you to read a number of literary works within the context of the metropolis as it was during the period 1700-1830, and to encourage you to reflect on the synthesis between historical/geographical environments and the texts that arise from them and come to define them. An introduction to writing news journalism in print and online. 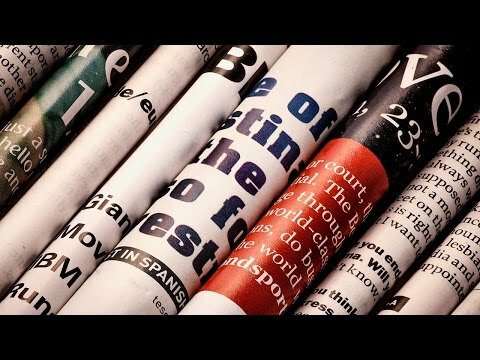 This module considers the role of news in society, and aspects of the research and production of short and longer news pieces. Emphasis is placed on mastering the strict, clear style of news-writing, researching a publication's voice and readership, and the possibility of journalism as a career. The module aims to introduce students to the world of professional publishing, and the processes involved in preparing texts for publication. The module aims to examine the publishing industry from both a UK and an international perspective, and explore the relationship between writers, editors, agents and publishers. The primary focus is on commercial book publishing, but the module will also consider academic and electronic publishing and self-publishing. The aim of this module is to offer students an examination of the relationships between texts in different creative media, and specifically to develop students' critical and creative skills in considering the relationship between the printed word and film/television, with particular emphasis upon the techniques and processes of adaptation. Source material included for consideration in the module will include short stories, novels, comics/graphic novels, non-fiction and video/computer games. Adaptations from page-to-screen as well as from screen-to-page (novelisations, tie-ins, spin-offs, etc) will be examined. This module aims to offer students an opportunity to conceptualise and hone the fundamental creative and practical skills necessary to write scripts for filmic media. The module will encourage students to think critically about work they view in cinema and on television and to use the consideration of those works as a basis for constructing and developing their own scripts. The module aims to combine the analytical and interpretive skills required to assess the creation of works within a particular genre of fiction with the creative skills involved in contributing to that genre. The module will consider both the aesthetic and commercial concerns and demands of writing within established genre categories and attempt to address questions of distinctions between 'popular' and 'literary' fiction. This module will enable students to engage in a variety of narrative strategies practiced in the most popular and lucrative area of publishing; creative non-fiction. The student will develop a practical understanding of how to approach the memoir, autobiography, creative journalism and the non-fiction novel and story with integrity and originality. The module allows students to research and write on an agreed topic in creative writing under supervision of a tutor. The essay may include a substantial creative component reflecting the themes of the critical discussion. This advanced screenwriting module aims to develop skills in the areas of critical analysis and creative writing. The module will apply theoretical approaches to moving image narrative and language, enabling students to explore and analyse a variety of film styles and examine the potential of specific content in writing for a visual medium. It will then explore the practices of scriptwriting as related to film and television. The aim of this module is to provide students on the programme with a basic understanding of the range and scope of contemporary literature for children and young adults and an introduction to creating marketable work for these readers. The module will examine the nature of current work, in fiction and non-fiction, written for different age groups in established publishing categories. The goal is to focus student thinking on the needs and expectations of the readers they are specifically writing for, as well as the publishers who cater to those readers. Students will produce a short piece of children's writing as part of the unit. The module aims to develop the students' range of skills in writing poetry and to increase their knowledge and understanding of contemporary poetry in its widest context. It aims to consider the whole creative process, from conception to completion, through various levels of analysis and drafting. The year-long module allows students to develop their skills in researching and completing a lengthy, creative work. The genre and subject matter are agreed with a tutor, who closely supervises the individual project, but previous examples have included the opening of a novel, novella or piece of life-writing, a short story or collection of stories, a collection of journalism articles, a poetry collection, part or all of a script for film, television or graphic novel. Our students go onto a wide range of graduate level careers and postgraduate study. There are challenging career opportunities in publishing, journalism, advertising, the media, editing and creative writing, teaching. The programme is useful for all careers. We teach critical skills as well as those transferrable skills of being able to write well and articulate ideas, as well as gain confidence in advanced communicative skills. It is excellent preparation if you would like to pursue further specialised training at postgraduate level and increasingly valued in a wide variety of professions. The Careers Service has more information on careers and postgraduate study options available to Creative and Professional Writing students who have started their studies at St Mary’s. The Creative and Professional Writing programme is taught by means of lectures, seminars, workshops and individual tutorials. Enthusiastic student participation is essential to success in the programme. Students are encouraged to start creative writing at a very early stage in the course and to regularly share their work with colleagues. There are opportunities for collaborative projects and developing skills in constructive criticism of creative work. Jonathan Gibbs (Programme Director, Creative & Professional Writing) has written an article on the role of the short story in teaching creative writing. With no exams, the programme - by its very nature - places a premium on practical exercises, coursework and projects, so skills will be assessed by a diverse range of methods. Modules are assessed on the basis of creative writing portfolios, course workbooks and presentations. Attendance and active participation in writing workshops is an essential aspect of assessment for some modules. All assessment is coursework based, with no examinations. In the final year of the programme it's possible for you to be assessed in large part on lengthier-scale projects. These will be produced within the framework of a special study or portfolio, under the close supervision of a specialist tutor. I decided on taking an English and Creative Writing degree at St Mary's because I enjoyed the subject at both college and secondary school. Having taken the subjects further, and through the great support I received from my lecturers, I have found that my interest in the subject blossomed along with the knowledge I gained. Although I have graduated and have started a new career, I hope to return to St Mary's to complete my Masters Degree. This degree gave me a great grounding for an entirely new career. Since graduating from St Mary’s, I've made my living as a journalist and continue to write fiction. I have worked for The Telegraph, The Sun, Loaded Magazine and The Hollywood Review. It was my dream to publish professional film reviews and St Mary’s helped me achieve it. What is special about the course, is the personal attention tutors pay to your work. They're very generous with their time. Studying on the Creative and Professional Writing Programme and being a student at St Mary’s have, so far, been great experiences for me. I have developed so much as a writer and students here are given fantastic support from staff. The modules I have attended have made me think in great depth about my writing. I have no doubt that my writing has improved tremendously since being on the course. The teaching I received really helped me to win the Strawberry Hill Gothic Prize for Creative Writing… another good experience! Jess studied Creative Writing at St Mary's from 2011 until 2014. Her novel, Himself, was published by Canongate in July 2016. Jess is now working on two further novels, along with her first collection of short stories – many of which are either set in Ireland or have Irish protagonists. Jess graduated with a PhD in Creative Writing, following the completion of an MA in Creative Writing (Enabling Creative Writing in the Community). Her PhD dissertation focuses on the ways in which disparate modes and genres can be brought into correspondence to create new hybrid forms – adaptable crime fiction variants. The critical commentary explores the tensions and similarities, contrasts and shared concerns in these two different approaches to fiction writing. Her research resulted in a magic realist crime novel, which was later revised and rewritten for publication. Jess is currently working on several academic articles drawn from her PhD research. Jess has published short stories and a London theatre group has performed her work. I chose Creative Writing because I've always wanted to be a writer. You can get a lot of inspiration from being here because of the nature and the city feel. The lecturers are great, they are really supportive. They tell you if something is wrong with your writing, but not in a bad way - they all support you. I would defitinley recommend to go to St Mary's... it doesn't have that big, stressful city life feel, but still it's London. If you are unsure about what you want to do for a career or if you want to develop your professional skills, I would recommend you take a workplace module. It is an opportunity to understand what you’ve learnt academically and apply it in a real working environment and increase the chances of employment after university. Additional costs could be incurred depending on optional modules chosen and other projects undertaken. For further information about additional costs please contact jonathan.gibbs@stmarys.ac.uk. The module engages with historical and contemporary writing about the capital city, fiction and non-fiction, and encourages students to write their work responding to life in the metropolis or using it as a setting, backdrop or character. This module aims to help students to develop skills in the use of rhythm, rhyme, metre and the innovative application of language in relation to writing poetry and song lyrics. It aims to develop a practical knowledge of the creative process through various stages of analysis and drafting.